The tournament brought together some heavy hitters from the Birmingham business & legal community not least a team chock full of Her Majesty’s Queen’s Counsel from St Philips Barristers Chambers. The winning team were captained by Mr Taheer Afzal a European Corporate Audit Manager from SAMSUNG Electronics, a global leader in technology. Head of St Philips Barristers Kevin Hegarty QC said that the QC team were proud to support the aims of the BYSA charity working to improve the quality of youth football coaching in Birmingham for over 10 years. 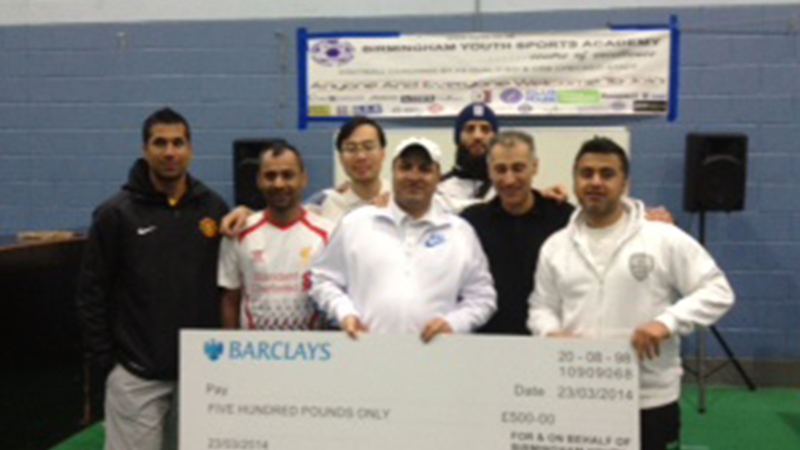 The Birmingham Youth Sports Academy 2014 Cup was a 5-a-side tournament held at the NIA on Saturday 23rd March 2014. There were eight teams in total & they played a minimum of 4 matches in the group stages. Each match played lasted 8 minutes. The BYSA Cup was an indoor tournament. The crowds in attendance were entertained by professional commentators and match referees provided by the NIA. Des Christie from the NIA who had moved heaven and earth to support the BYSA charity through the provision of logistical support and generous discounts on hire of the venue and was publicly congratulated by the Chairman of the BYSA. The hospitality provided to all those who attended and took part was generously supplied by Mr NAZIR AWAN, one of Birmingham’s most highly respected businessmen. Through his company AWAN INTERNATIONAL, Mr Awan provided delicious food and refreshing drinks which were gratefully consumed by the participants and their supporters. 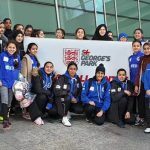 The tournament was held in respect of the BYSA charity in order to support the long standing and widely respected organisation continue its good work in the provision of sports coaching and education services for the children within the local community. BYSA has been voluntarily working in the field of youth coaching for over 10 years at the heart of the community in Small Heath. The idea of the 2014 BYSA Cup was the brainchild of the Chairman of BYSA & Nisar Khattak from K Legal Solicitors to get together some big hitters from Birmingham’s business and legal profession to come and out and support the BYSA by taking part in the 2014 BYSA Cup. The timing of the tournament coincided with Sports Relief last weekend. The teams consisted of a number of successful local business people and very high calibre professionals such as Queen’s Counsel, Judges, Solicitors, Barristers, Insolvency Practitioners, Venture Capitalists and Accountants. 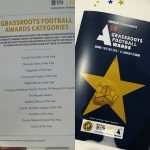 All told there were approximately 150 people in attendance who attended and made the tournament a resounding success by participating, supporting the teams and of course generating funds for the BYSA charity. The final was played between Darlaston Tax Shop Accountants and BYSA Outlaws. The winners Darlaston Tax Shop Accountants prevailed 1-0 and thus we’re entitled to a £500 WINNER’s CHEQUE. Darlaston Tax Shop Accountant’s captain Taheer Afzal lifted the 2014 BYSA Cup and all the members of his team received their well deserved winner’s medals. 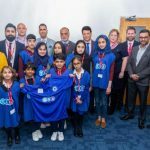 In a wonderfully GENEROUS TWIST the winning team captain Taheer Afzal, a European Corporate Audit Manager from SAMSUNG Electronics, stated that the £500 prize money will be DONATED BACK to the BYSA charity. The Chairman of BYSA said this amazing gesture by Darlaston Tax Shop Accountants meant a huge amount to BYSA and the money will be ploughed back into the work ongoing to improve the leisure and sporting opportunities for local children. Anwar Khattak, the BYSA Welfare Officer was extremely pleased with the whole day. The day had started at 10am and the tournament finished at 2pm. Anwar said the BYSA would like to continue to help people get involved in sport in their community. He said the BYSA was extremely grateful for the support of their sponsors and partners. 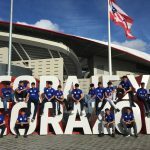 He said that continued sponsorship was vital so that the academy may continue its hard work and become bigger and better within the community. The Chairman of BYSA staff (& Outlaws!) expressed their thanks to everyone who took part in making the tournament a success. 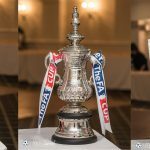 He said it was enjoyed by all and they hoped to hold the 2015 BYSA Cup next year in a similarly successful way as it is intended to be an annual event given the extremely positive feedback from all those taking part. The BYSA Chairman said he hoped everyone will remember what a superb tournament the BYSA had put on this weekend. He said it was never too late for anyone to apply to BYSA if they wanted a chance to make a positive difference to the health & well being of local children.